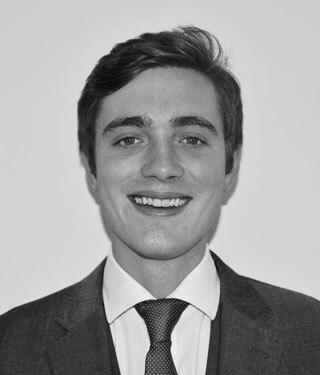 Philip joined chambers after completing pupillage at 2 King’s Bench Walk. He is primarily a criminal practitioner who prosecutes and defends all-manner of cases in the Crown Court both as junior counsel and on his own. He is also instructed to appear in the Magistrates Court and the Youth Court. He is a Grade 2 Prosecutor who is regularly instructed to prosecute Crown Court trials from an early stage in proceedings. Philip is therefore accustomed to providing advice from an early stage and ensuring that each case is fully prepared before trial. Since becoming a tenant, Philip has been instructed to defend clients charged with serious offences including supply and importation of drugs, money laundering, assault, burglary and sexual offences. He has the ability to put his clients at ease, offers pragmatic advice and explains complex points of law as well as case-theory in a way which is easy to understand. R v J & Others (2018) – The case involved a pro-active county-lines drugs operation which relied heavily on telephone evidence and ANPR captures. Prior to the trial commencing, his role as junior counsel for the prosecution involved preparing schedules as well as working closely with the analyst to compile the graphic bundles. Pre-trial, there was also an application for severance and issues with custody time limits. During the trial, as a result of a section 8 application, an ex-parte PII application had to be made. The trial lasted 6 weeks and all defendants were convicted. R v P (2017) – Instructed as junior counsel in a 6 week trial in which the defendant was charged with multiple counts of international money laundering. The allegation involved cash and electronic transfer over one million pounds. Preparation of the case required careful analysis of banking records, money transfers and the way in which the money was bundled. It was also necessary to send an international letter of request to Nigeria which resulted in a large amount of material in response; the disclosure exercise was therefore both substantial and complex. R v B (2017) – Prosecuted a defendant charged and subsequently convicted for perverting the course of justice. He provided a number of false statements regarding an alleged assault. The chronology of events was complex and required careful presentation to the jury. R v P (2017) – The defendant was charged with a serious domestic assault. Within the complainant’s statement was reference to a long history of domestic abuse not subject to the charge; there was substantial legal argument in relation to the admissibility of that evidence. R v X (2017) – The defendant, and two co-defendants, were charged with conspiracy to supply class A drugs. The prosecution sought to prove the conspiracy on the basis of phone messages and contact. It was therefore necessary to analyse the phone data carefully in order to compile material from the client’s phone which suggested that he was not involved in any such conspiracy. The defendant was acquitted. R v M (2016) – The defendant was charged with importing cocaine valued at over £200,000. In essence, he disputed any knowledge of the drugs within a food consignment he had ordered from Jamaica – the jury unanimously acquitted. R v M (2016) – Instructed as junior counsel in a multi-handed drug conspiracy which lasted 6 weeks. This involved a vast quantity of telephone data, cell site analysis and money transfers which all had to be carefully analysed in order to support the clients defence. Instructed as disclosure counsel in two high-profile cases. The most recent instructions related to the Hillsborough disaster which involved analysing statements, exhibits and reports obtained throughout a thirty-year period. It also necessitated a hybrid-approach combining the pre-CPIA disclosure regime with the current test for disclosure. The other related to a banking corruption case with over 300,000 pages of evidence. Due to the significant volume of work there was a large amount of LLP material which had to be carefully considered as well as multiple disclosure requests from the defence.